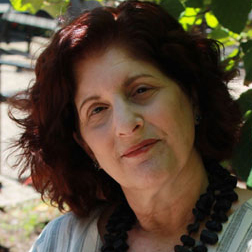 A Detroit native, Judith Wineman worked in New York City and nationally as a political and community organizer for nearly 30 years after earning her M.S.S.W. at Columbia University. She held leadership positions at ILGWU (now UNITE) Retiree Service Department from 1978 to 1999, then worked as director of AFL-CIO Dept. of Older and Retired Workers until 2002. After consulting for four years, Wineman in 2006 returned to the Motor City, where she served as development director for the Detroit Hispanic Development Corporation until 2010. From 2008 until 2014, she taught B.S.W. courses at Marygrove College. In addition to her work as a lecturer with the Wayne State School of Social Work, Wineman has worked with Resource Development Consultants and teaches English as a Second Language, Developmental English and Spanish courses at Henry Ford Community College.